"Ben Orbach’s book offers an extraordinary picture of attitudes in the Arab world. He offers letters home depicting life, his everyday experiences, and his exchanges with people from all walks of life . . . .Orbach is a wonderful observer and a lively and colorful writer. And in reading his book—and absorbing his letters—it is possible to gain a better appreciation of our problems and possibilities in the Middle East." "In Live from Jordan, Benjamin Orbach, a young American observer of Middle Eastern affairs, delivers a surprising, fresh, and always clear-eyed portrait of his travels and research in the region. Honest and engaging, Orbach is respectful to his hosts but alert to his setting. I highly recommended this book for the integrity of these dispatches home." "Ben Orbach’s book is a fascinating insight into the swirling social and political currents that prevail at a grass roots level in the Middle East, rather than the palace politics that so often dominate media attention. It is a captivating memoir, charting one young American’s journey into an unfamiliar world and his quest to understand it. Absolutely engrossing." "Live from Jordan is Ben Orbach’s humane, well-informed, and charming account of the year he spent traveling around the Middle East after the 9/11 attacks. Orbach’s chronicle of his travels is full of insight, warmth, and humor as this Arabic-speaking American encountered a wide range of characters on his Middle Eastern journey." "The value of Orbach's book is as much in his firsthand account of a volatile region as in his descriptions of discussions with the ordinary people around him. At its heart, this is an optimistic work, one that informs Americans about the everyday problems experienced by Arabs and . . . that promotes the idea of real dialog in and with the Middle East." "A funny, poignant trip through [the] Mideast"
"Orbach's knowledgeable but down-to-earth style is refreshing, and it's a delight to follow him on his 13-month sojourn, whether he's buying kosher pastries (for his Orthodox Jewish relatives) from a Palestinian in Jerusalem's Old City or playing dominoes with "three old guys in galabayas" in Cairo." "Benjamin Orbach has written a modest, yet profound book. . . . The narrative is a captivating blend of travelogue, diplomatic outreach, political treatise and tale of personal transformation. . . . It is an invaluable contribution from an erstwhile "unofficial ambassador," and it's worth a thousand Karen Hughes heart-to-hearts." "A wonderful tale . . . . Orbach talks to everyone and tries just about everything to really immerse himself in the daily life of the region which leads to some really funny moments as well as some really insightful episodes -- the poor guy gets rolled in a Turkish brothel, questioned by Syrian secret police, and turns Cairo upside down looking for brown shoelaces. It's all great fun. To read about." "Anyone who reads Live from Jordan will be able to rid themselves of that stereotypical viewpoint forever and that makes it an important book. . . . I did not find a false note in it anywhere and would love to see its message spread as widely as possible." 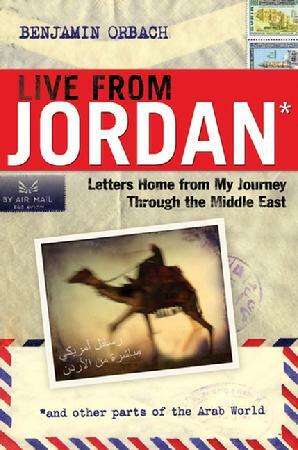 "Live from Jordan: Letters Home from My Journey Through the Middle East is the thoughtful, illuminating, and highly entertaining book debut of Pittsburgh native Benjamin Orbach." "One of the neatest books I've ever read . . . . Take a personal step toward peace and read this book – and give it to everyone you know." "If you want to really understand the Middle East, I suppose you can read a lot of history and analysis from think tanks who pay a lot of consultants to put them together. Or you can pick up this book written by an insightful and charming guy who saw the real Arab world." "Orbach is Jewish, but he offers a stark neutrality in his views giving us details about Arab World life you rarely see written. . . . I think I am learning more about my Arab people from Orbach than I have learned from Arab writers who, again I say it, insist on making the 1947 Palestine conflict the central theme of everything they write." "Any collection strong in modern Middle East issues and studies, whether it be at the college level for sociology courses or in public library holdings, will find Live from Jordan: Letters Home from My Journey Through the Middle East to be a winner." "Live from Jordan is a charming depiction of third-world living, of one man's attempt to go beyond stereotypes and get to the heart of a region that Westerners are often reluctant to see much less understand." "An engrossing read . . . revealing how many Western beliefs about the Middle East are misconceived while confirming many others." "A fun, entertaining, and educational read. 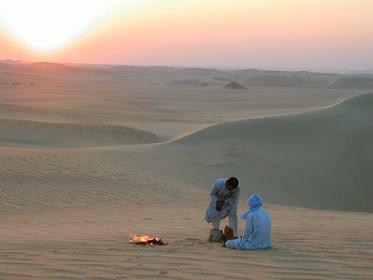 Captures many of the old and new realities of this fascinating region." "I highly recommend this work for those who want to get a feel for the lives, perspectives, and conditions of the people of the Middle East (and particularly of Jordan). I found the book thoughtful, but it also encouraged me to reflect on other issues from political to philosophical. . . . "Live from Jordan" is a journey for the reader as much as it was a journey for Benjamin Orbach." "The Western reader is given a fairly accurate accounting of life in modern Amman and some neighbouring Arab cities. To Jordanians, though, the book offers a chance to reflect back on pre- and post-Iraq invasion sentiments, and is a dissection of the lifestyle of modern Amman with all its complexities and the social and economic disparities of its residents." Live from Jordan can now be purchased online at Amazon, Barnes &Noble, Booksamillion, Overstock, and through other distributors. For special sales, contact AMACOM Books at 800-250-5308 or SpecSlsWeb@amanet.org. For trade sales, contact Emma_Gibson@mcgraw-hill.com. Live from Jordan is also available in the UK, France, and Germany.